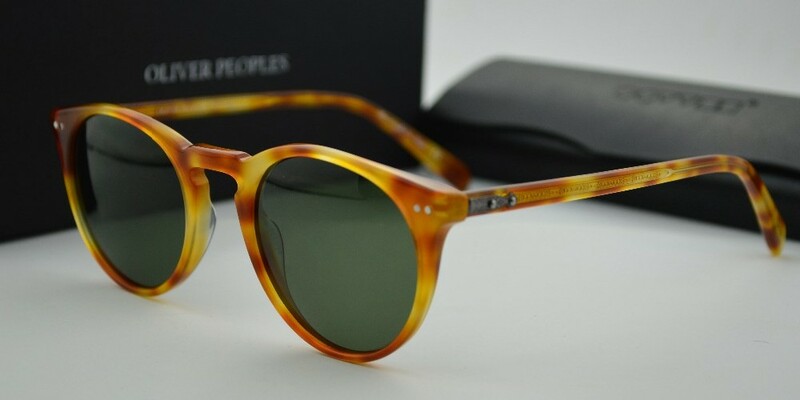 When the sun is shining and you slip on your Oliver Peoples Sunglasses- you know that you look the part. The difference is instant. But did you know that buying a pair of Oliver Peoples shades does more than just raise the profile of your summer wardrobe? When you invest in a pair of the designer shades you’re choosing to invest in your health. We all enjoy summer. After all what’s not to like? Sunbathing, BBQ’s, pub gardens and not to mention the summer holiday getaway. However, the sun can be dangerous. Everyone knows it; there are always hard hitting messages urging people to apply sunscreen before they expose their skin to the sun’s rays. What is less well-known is just how the sun’s UV radiation affects our eyes. Each part of our eye is susceptible to damage. The white of your eyes and the insides of your eyelids are covered by a thin mucous membrane called conjunctiva. If you over-expose yourself to UV light the mucous membrane begins to thicken, becoming irritated and inflamed. If the conjunctiva grows over your cornea then it can interfere with your vision. The retina features a part called the macula. If the macula part of your retinas are not protected against the sun over a long period of time, it can lead to a condition called macular degeneration (AMD). AMD is the leading cause of age related blindness. The lens of your eye is susceptible to the development of cataracts, a clouding of the eye that can severely decrease vision. Around 20% of cataract cases can be linked directly to extended UV exposure. The cornea is likely to suffer from photo-keratitis (sunburn) when it endures short-term, high intensity exposure to UV-B rays. Spending hours at the beach or hours skiing with no eye protection can cause this. The after effects are very painful and can cause temporary vision loss. Investing in a good pair of sunglasses can shield you from the potential damage UV rays can have. They also stop you from squinting in the sun, therefore minimising the depths of the wrinkles around your eyes. But with so many different brands and variations of shades available, what should you be looking for? Some eyewear brands can be misleading in their promises. When purchasing a new pair of sunglasses there are certain phrases that should set alarm bells ringing! Anything that claims to be ‘UV absorbing,’ should be avoided as it does not clearly state how much UV it absorbs. Similarly, the phrase ‘UV protective,’ is not regulated terminology. Effective protective eyewear will always give a percentage and will never be vague in what they promise. Never be tempted to buy a cheap rip off version of your favourite designer brands either. They are very unlikely to offer any UV protection at all. Oliver Peoples are known for its ability to design and handcraft fashionable eyewear that delivers unquestionable high quality. However, although they strive to maintain their high profile within the fashion industry they also take responsibility of their customer’s health. Most of their models offer 100% UV protection- which takes away any confusion when it comes to choosing a pair. Perhaps you’re going on a beach holiday? Well if you know you’re going somewhere that poses extra risks to your eyes, Oliver Peoples Glasses has a collection of small clip on lenses that are available to all of its customers. These small lenses provide the ultimate protection against the sun. Don’t neglect your eyes; they’re just too important. A protective pair of sunglasses don’t have to come with a big price tag. You can buy cheap shades on the high street that meet the criteria for certified protection. However, why would you opt for protective glasses that are void of any style when you could have it all?